Detroit: Become Human launch trailer shows the rise of androids. PlayStation released their launch trailer for their upcoming game Detroit: Become Human, which you can view in the player below. Detroit: Become Human is now available in the PS Store for pre-order and will be officially released on Friday, May 25. Detroit: Become Human takes place in the near future in a dystopian setting that focuses on the story of three androids, machines initially designed to obey, that start to experience emotions. The androids, Connor, Kara, and Markus, will have to decide who they want to be as they are confronted with persecution and the violence of society. The game offers multiple protagonists and perspectives in order to bring the game’s main plot to life. Connor is a prototype designed to help human investigators on cases involving androids, while Kara becomes a fugitive empathizing with a little girl, united in their dream of freedom. Markus will eventually become the leader of the android revolution. Gamers will be able to play as all three characters throughout the game, taking control of their destinies and telling not only their individual stories but also the story of their people and of their world. The key takeaway is that within Detroit: Become Human, all of your choices matter, no matter how big or small. 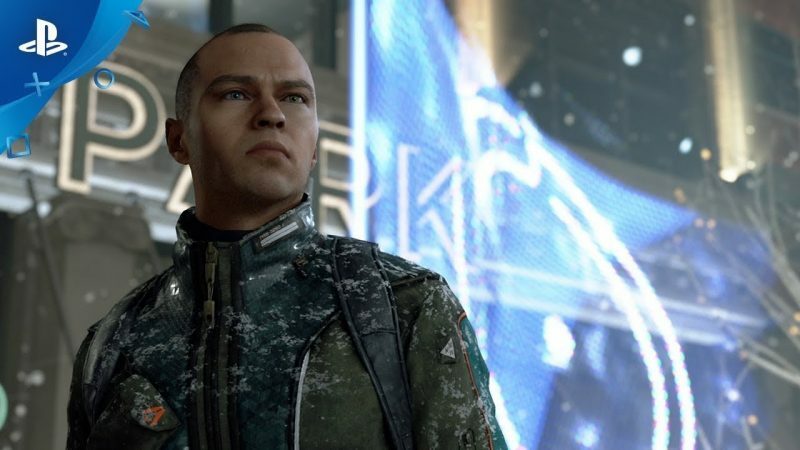 In order to tell the stories of Connor, Kara, and Markus, players will need to “observe, think, decide, feel” and follow their intuition or heart. The game explores a number of complex themes that resonate with today’s world. While it mainly centers on AI and the role of technology, the story is about us, our society, dreams, mistakes, hopes, and what it means to be human. While creating this new vision, PlayStation says they developed a spectacular 3D engine to provide highly realistic characters, full performance capture, scenes featuring crowds, and much more.Meant to be more than just a game, the developers hope that Detroit: Become Human will strike up meaningful conversations and will become your own personal story in this new, unique experience. The post Detroit: Become Human Launch Trailer Shows the Rise of Androids appeared first on ComingSoon.net.